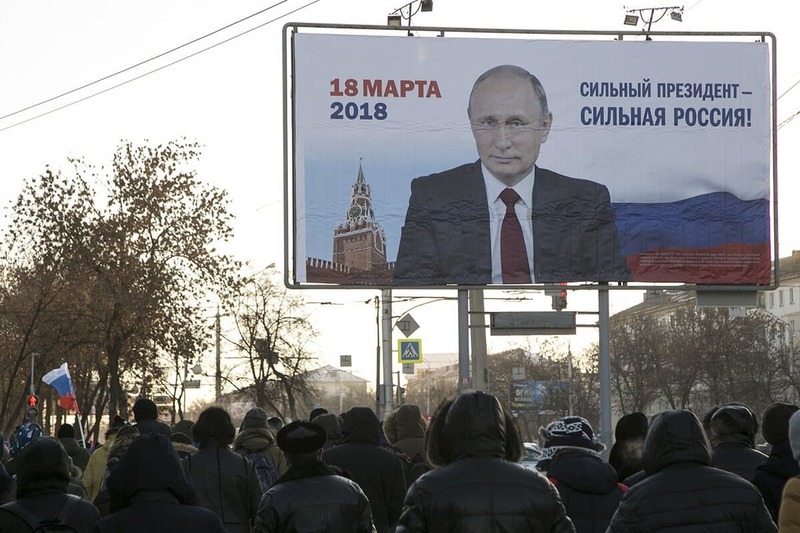 On March 18, Russians go to the polls where they will – without doubt – re-elect President Vladimir Putin to a fourth leadership term. The race is technically contested. Seven other candidates are participating. They include a 34-year-old former reality TV star who admits that “when money gets into her hands, she spends everything” on clothes. But with the country’s television media under tight Kremlin control and the outspoken dissident Alexander Navalny barred from the ballot, no one besides Putin is expected to garner even double-digit support. My research as a scholar of Russian and Soviet history shows that there is no escaping the fact that Putin is genuinely popular. Also, that his whole administrative apparatus has always been prepared to invest significant resources in making him appear even more revered than he actually is. 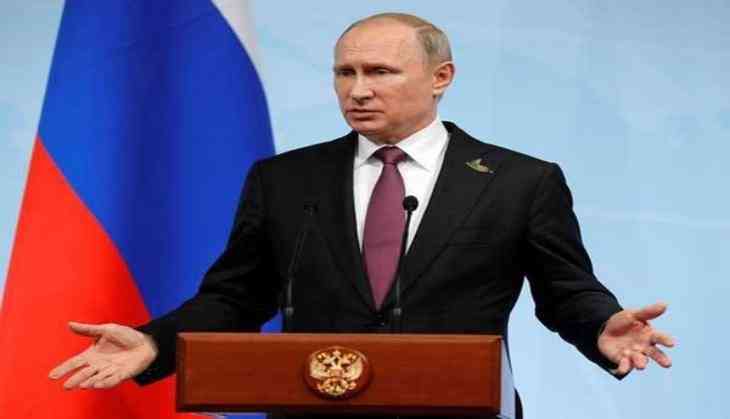 Putin’s efforts to uphold the trappings of democracy, even while asserting his right to “manage” Russia’s democratic process, has led to a situation where – according to the very constitutional limits he has previously endorsed – this upcoming electoral victory should be his last. That means that in a matter of days, Putin, the man that Kremlin spokesman Dmitry Peskov has compared to a god, calling him “a leader of the political Olympus,” will turn into a lame duck, albeit one with a six-year tenure. Putin has sidestepped this situation once before. Winning his first presidential campaign in 2000, Putin served two consecutive four-year terms – all that the Russian constitution allowed. As the second stint approached its end, debate swirled over whether the leader would consent to step down or defy the law and stay in place. He did neither. In a move that could only be taken by someone with both an eerie amount of confidence in his own personal power and an astonishingly long-term political vision, Putin agreed to support his then-prime minister, Dmitry Medvedev, for president, in return for Medvedev naming Putin his number two. Back then, in 2008, many pundits assumed that lawyerly Medvedev, once in office, might attempt to distance himself from his former boss. He projected a young, modern, more democratic vibe. He opened a Twitter and Facebook account, used an iPhone and iPad, and once split an order of fries with President Barack Obama at a burger joint, while on a state visit to the U.S. in 2010. But Putin continued to call the shots. His hand, in particular, was seen in Medvedev’s decision to pass a law lengthening future presidential terms from four years to six. Then, in 2012, Putin regained the top political office, all seemingly without having violated the tenets of democracy. Such a bait-and-switch would be more difficult to engineer a second time. At the end of another presidential term, Putin will be 71 – an unlikely age to cede top office but a likely one to stay on in a subordinate role. It would be particularly difficult to find a sufficiently compliant stand-in. Even Medvedev, who has continued to serve as Putin’s prime minister, cannot be counted on to be so accommodating once again. Putin could, of course, decide to follow China’s example. On March 11, President Xi Jinping succeeded in winning the approval of the National People’s Congress to abolish term limits on the office of the executive, which would have restricted him to serving for only 10 years. Xi has said that he needs more time to oversee the transformation of China into a “mighty force” to lead the world. Putin has made no bones about his similar mission for Russia and has repeatedly insisted that building a “great power” country requires great political stability. But Putin has also invested a certain amount of energy in honoring the appearance of democracy, more so than Xi. This attention to democratic political ritual frequently perplexes Western analysts, as it co-exists with a willingness to manipulate such rituals behind the scenes. Elections might be carefully controlled and the most outspoken opposition silenced, turnout figures might be doctored and results might be boosted to show more unanimity. Nevertheless, Putin has always claimed to stand “as a beacon for the interests of Russia” and its people. And he has always linked these claims to the democratic spectacle of elections, no matter how staged. Official Russian media reaction to Xi, however, suggests that the Kremlin could be positioning itself to argue that any decision by Putin to toss aside constitutional constraints could still be cast as democratic, rather than authoritarian. Putin is known for coming to power and quickly persuading Russia’s fractious elites to fall in line or suffer serious consequences. Leading Russia scholars ranging from Miami University’s Karen Dawisha to Princeton’s Stephen Kotkin, claim that Putin currently heads a powerful, unified kleptocracy. These recent articles from inside Russia, however, suggest a certain Kremlin uneasiness about the enduring loyalty of its billionaire clientele. American journalists, prone to searching for hints of opposition to Putin from below, tend to forget that in Russia, major political change has always originated from above. Even the Russian Revolution itself began, not with an uprising of the people, but with the efforts of a group of aristocratic elites to persuade the ineffectual Nicholas II to abdicate in favor of his brother in February 1917. In one of the great ironies of history, the brother refused to take power without a popular vote, and the aristocrats who had been desperate to find some way of preserving the Romanov Dynasty accidentally ended up bringing about its demise. So, too, the final collapse of the Soviet Union occurred after then-Russian President Boris Yeltsin met secretly with the leaders of Ukraine and Belarus, and the three men simply decided to announce that they no longer recognized the USSR or Soviet chief Mikhail Gorbachev’s authority. The Kremlin’s language in regard to Xi already seems to be cautioning Russia’s rich and powerful to think twice about conspiring behind the scenes. And some appear to share such suspicions.